Our clinic is on the outskirts of the city of San Bernardino, in a largely Latino area called Muscoy. Nearly a third of all residents live below the poverty line and many of them do not have cars or access to other transportation. Without a clinic like ours close by, checkups would not happen and chronic conditions like diabetes, obesity, and heart disease would be left untreated. Al-Shifa has been here since the year 2000. We have an extensive website, alshifafreeclinic.org, where we explain that “shifa” is the Arabic word for cure, and that the clinic is based on the teachings of Islam, with compassion for the sick and service to those in need. The model of a Muslim-run clinic bridging the health care gap for primarily non-Muslim patients is not as rare as you might think—one survey found that there are at least 10 such community health care providers throughout the country. The clinic has an open-door policy to provide care regardless of race, religion, or socio-economic status. We are open Tuesday through Saturday, 9 a.m. to 5 p.m., and we serve primarily low-income and uninsured patients. About 60 percent of Al-Shifa clients are Spanish-speaking only, so most of the medical staff is bilingual and can serve as translators for doctors who don’t speak Spanish. 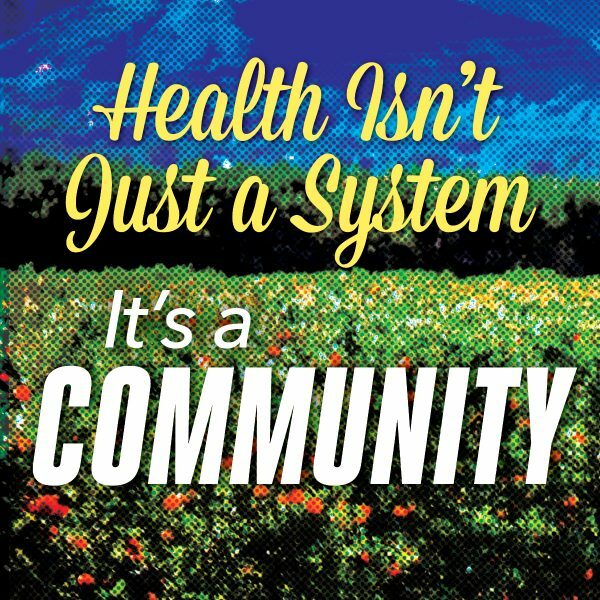 The staff, as well as the clinic’s volunteer doctors, board members, and donors believe everyone has a right to health care and the right to live a healthy life. It’s very important that there is no communication gap between the physician and the patient. On a recent morning a reporter visiting from Zócalo Public Square interviewed a Spanish-speaking gentleman who works as a carpenter and had come in for his regular check-up. He told the reporter that he’s been coming here for a couple of years for help managing his diabetes, that he likes the Al-Shifa doctors, and that he can walk to the clinic from home. 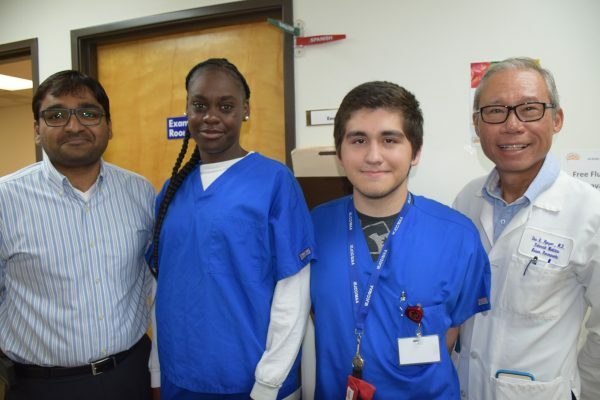 From left to right: Al-Shifa manager Muhammad Safwatullah, Job Corps interns Keviana Mims and Alex Acuna, and Dr. Duc Nguyen at Al-Shifa Free Health Clinic. I am the clinic manager as well as an aspiring primary care physician. I got my medical degree in Pakistan and I’m now in the process of obtaining a residency program. I’ve lived in Riverside for eight years, and several years ago I started at the clinic as a volunteer. I was looking for a place where I could get a feel for how medical care works here. I heard about this clinic from my family doctor. I like the way everyone helps one another—to me the spirit of service here goes to the heart of what good medicine is about. The medical care Al-Shifa provides relies on volunteers. For example, Dr. Duc Nguyen, who was the scheduled doctor on the day Zócalo came to visit, is an internist by specialty. He sees patients at Al-Shifa for four hours every Friday. He is currently employed at Kaiser and has been there for many years. He donates his time, he’s been a real supporter of the clinic, and the clinic relies on people like him to provide the high level of care that Al-Shifa provides. The rest of our staff is also made up primarily of volunteers, as well as interns from Job Corps, the career technical training program administered by the U.S. Department of Labor. 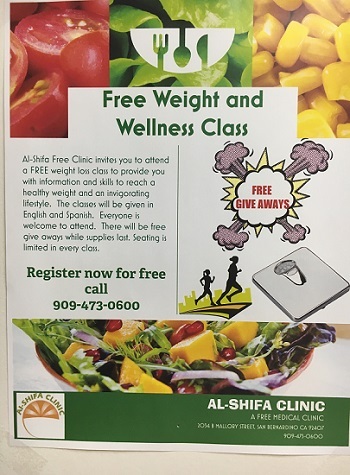 Al-Shifa hosts free health classes in both English and Spanish. 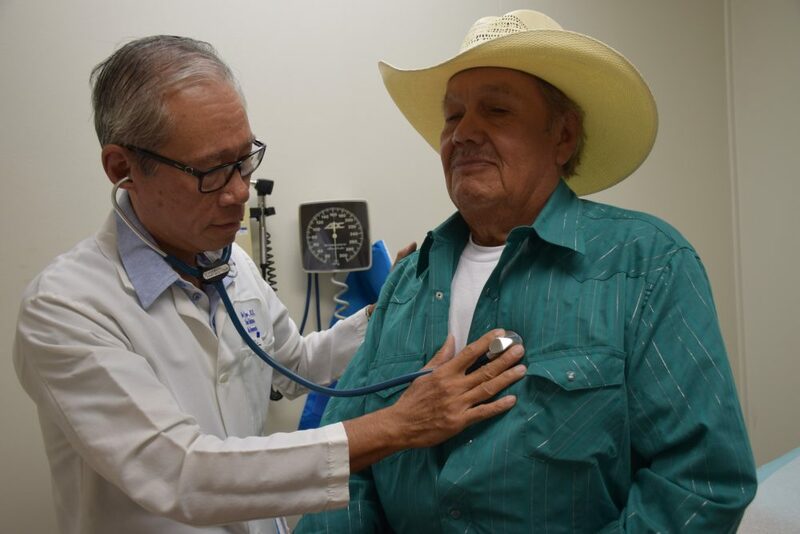 The clinic has between 30 to 45 doctors volunteering each month, providing both primary and specialty care, including cardiology, pulmonology, neurology, physical medicine, nephrology, orthopedic surgery, and rheumatology. On Tuesdays we have a phlebotomist to do blood work. The clinic also offers gynecology services, free mammograms, and pediatric care. We offer EKGs, echocardiograms, and cardiac stress testing—free of charge. The health clinic sees about 200 patients a month on the medical side. We also offer a low-cost dental clinic, which treats about 30 patients a day, up to three days a week. The clinic tries to offer everything under one roof. At the beginning of every month, we ask our doctors about their availability and make a schedule. As we get inquiries from patients, we let them know the days and times they can come in to see the specialist they need. We’re proud to be able to provide specialized medicine that can really make a difference in the quality of care, and that would otherwise be difficult for our patients to get access to. In addition, the clinic provides preventive care and wellness education, including support to help quit smoking and to help deal with diabetes/weight management. We also offer a program on how to maintain a healthy diet and keep up a regular exercise regimen. Since many of our clients have not had regular access to health care in the past, by the time they come to us their health has deteriorated and they have developed other complications. We do all we can to help but we are also working to prevent that from happening. Staff and volunteers outside the Al-Shifa Clinic. Our annual budget is tiny—just $240,000. Most of our funding comes through private donors, with additional support from Kaiser Permanente and the city of San Bernardino. Everything here was donated: the parking lot, the building, the staff, and medical equipment. Our 5,000-square-foot clinic houses 19 exam rooms, but despite its size it is a modular building that manages to accommodate what we need to provide care for our patients. Al-Shifa Clinic would certainly benefit from a permanent facility, but funding is limited and our goal for now is to make the most of what we have. Working at Al-Shifa has taught me a lot of things, including how to connect with people and how to handle challenging tasks, patients and the staff. It has taught me a lot of valuable lessons. Most importantly, it has deepened my commitment to providing medical care for everyone, regardless of ability to pay. No one should be denied this precious service. Though my personal goal is to eventually be placed in a residency program, until then I am very honored to serve this community. Muhammad Safwatullah is the manager of Al-Shifa, a free health clinic near San Bernardino. Primary Editor: Sara Catania. Secondary Editor: Bianca Almada.